Sandtex is the leading masonry paints brand and we have been protecting buildings for over 50 years. Developed by experts, Sandtex exterior masonry paint is designed to give your home protection from the elements – we are focused on durability and performance providing a full product offer from preparation to completion as well as an extensive range of masonry paint colours to suit every style of property. 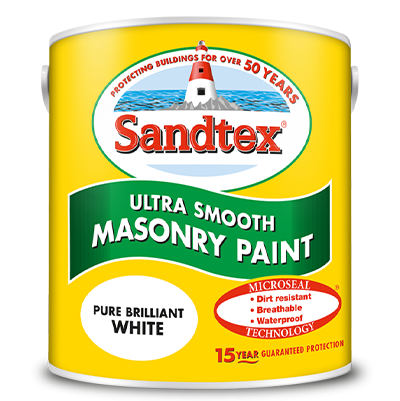 Sandtex is a leading masonry paints brand and we have been protecting buildings for over 50 years. Developed by experts, Sandtex exterior masonry paint is designed to give your home protection from the elements.